The new standard for mast unit color display. 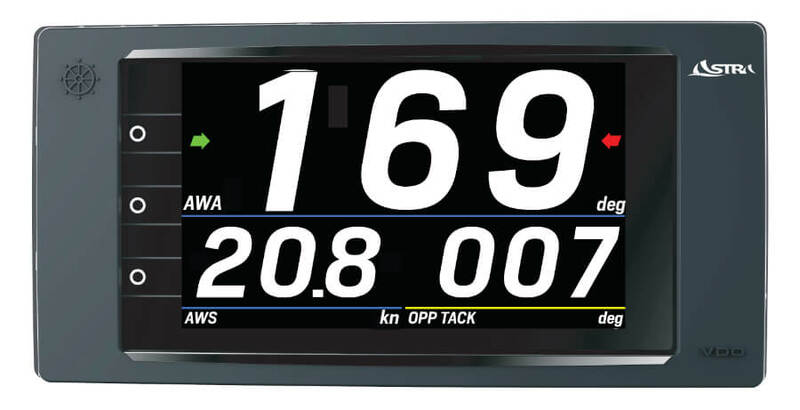 An incredible 7” inches touch-screen with unique functions dedicated to race crews. Stunning build quality and performances. 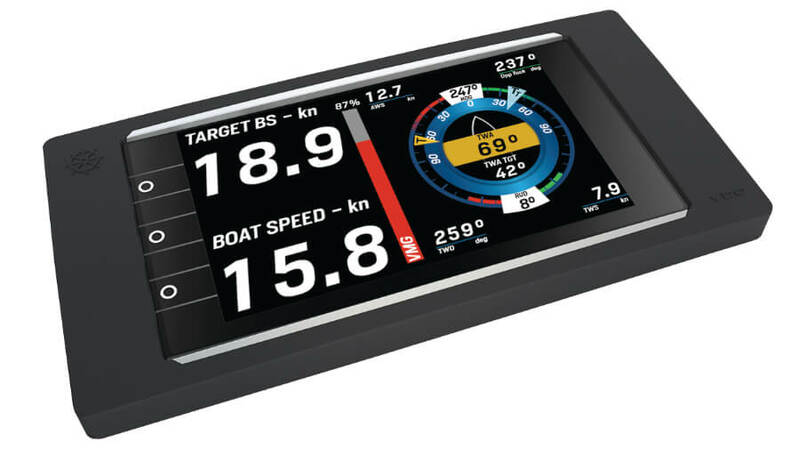 Meet the new standard in touchscreen colour graphic display for sail boats! Astra has developed a breakthrough device for the most demanding crews and contest of usage. A stunning build quality screen for the best readability in any condition of light and best reliability. 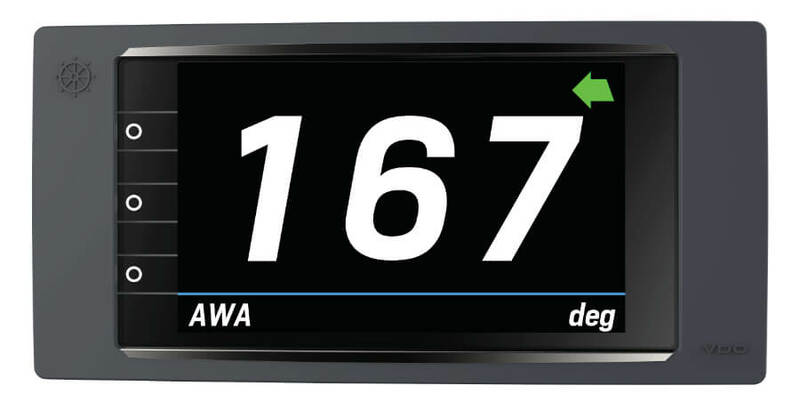 A capacitive multitouch TFT bonded display with high outdoor visibility, three touch shortcut settable buttons and remotely controllable by a dedicated NavControl. A incredibly unibody design of aluminium for a ultrathin profile and sturdiness. POLAR: Target of speed at given wind angle vs real time boat data. 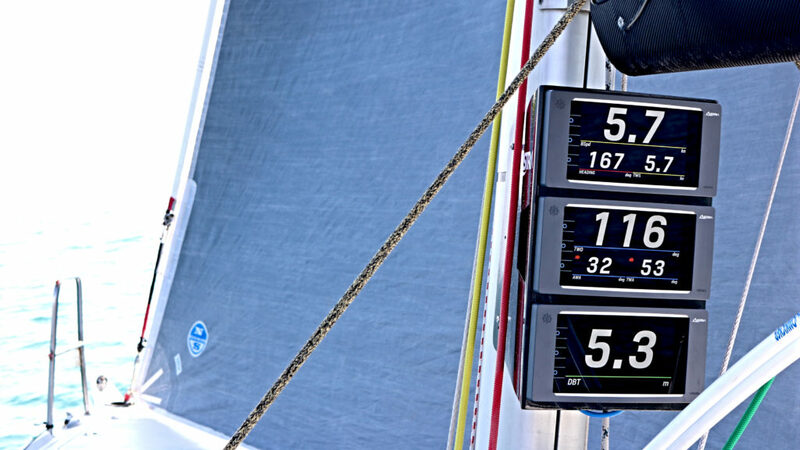 esa M7 is capable of showing unique data for sailing regattas, such us “distance to layline”, “opp tack”, “% to the target”. 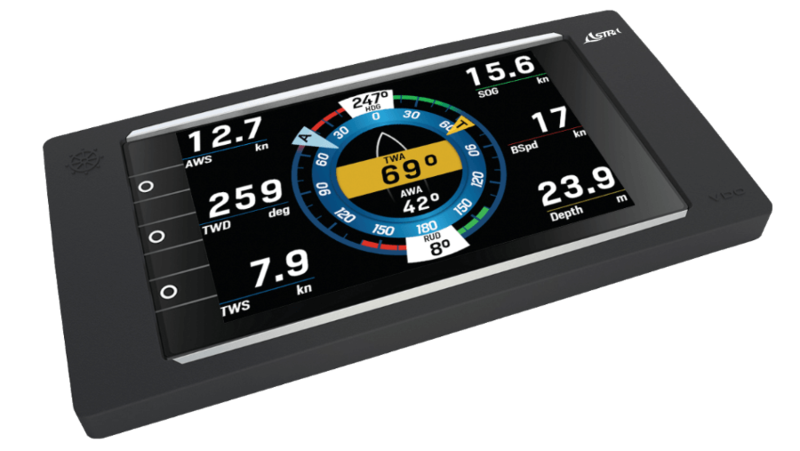 Such data are available through the powerful Astra’s instrumentation systems and shown directly on the display, making m7 the perfect solution for race rews. The m7 software is capable of adapting to the more contest of use, also in cruise with a multiple instruments page up to 6 data number and a complete wind rose. Perfect integration with onboard sensors like the rudder angle. Distance to P and S; Gain P/s; Set/drift (*).